Today is May 14, which isn’t a holiday per se, but it does mean we are now one month exactly from the pub date of Imaginary Girls. In lieu of telling you how anxious and insecure I’ve been the closer we get to the pub date—I’ve deleted a whole post I was writing about this—I want to talk about something positive. It starts out dreary though. Truth is, Imaginary Girls was my last-ditch novel. I’d written two adult novels before it that I’d let go, painfully, due to varying reasons I’ve revealed on this blog over and over again, but what I’m thinking about is that dire point, after the last this-close rejection that I could handle, where I considered giving up entirely on becoming a published author. I wasn’t going to give up on writing, but I was beginning to think that I’d write only for myself, short stories mostly, maybe never send them out on submission, just continue writing because writing fiction is what I love. It was around this time, a low point of my writing career, that I started the story, and then the novel, that became Imaginary Girls. The reason I didn’t give up can’t really be pointed to some kind of faith or resilience inside me, I mean that was in there somewhere, but it couldn’t only be that. It can be pointed to one person: E.
I met and fell in love with E when we were both teenagers. He’s seen me through every stage of this writing dream, from the very beginning when I confessed to him I wanted to be a writer under the condemned house on campus where we went to be alone on one of our very first “dates,” those naive years where I spent more time talking about writing than actually writing… and he’s been with me through the harder moments. The ugly moments. The moments I sometimes forget when I’m feeling nervous about what people are saying about my book that’s about to come out—blanking on the fact that there was a time when there was no book coming out and maybe never would be. Like that one birthday of mine, in my twenties, when that morning I’d received an email from an agent who’d been having me revise a manuscript for years but had decided to turn it—and me—down for good. I stood in the lobby of a Loew’s movie theater, after seeing a film, openly sobbing at how close I’d come and how I thought it was all over. E simply held me and told me it wasn’t over. I cried for a long time, unable to stop even though we were out in public. I wanted to give up after that—I was done; I really felt like the universe was telling me I was done—but he wouldn’t let me. He never let me give up. Not ever. E always knew this day was coming. He also was very involved in Imaginary Girls, in what the book turned out to be, but to avoid embarrassing E any further, because he is a very private person, I will stop talking now. So, to celebrate being ONE MONTH away from Imaginary Girls, maybe we’ll go get some Italian tonight. As for you, my kind blog readers who’ve seen me through the years, I think I’ll have one last giveaway on June 14, including signed copies of the hardcover and maybe some other things, too. 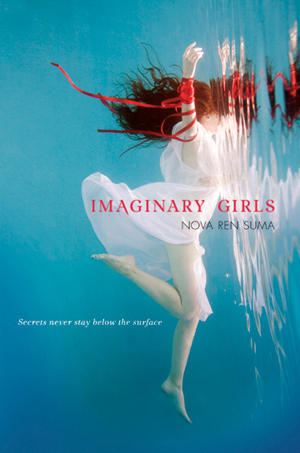 • You can read the first four chapters of Imaginary Girls right now, online, for free. Just click here. • Pre-order links can be found here. 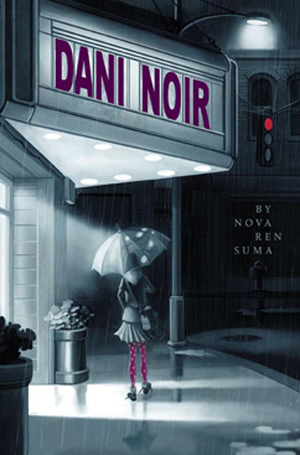 • If you’re in New York this month, come hear me read from Imaginary Girls at the twi-ny party on May 18, or come see me at the NYC Teen Author Carnival on May 23. More info here. More events to come, just waiting for them to be official. 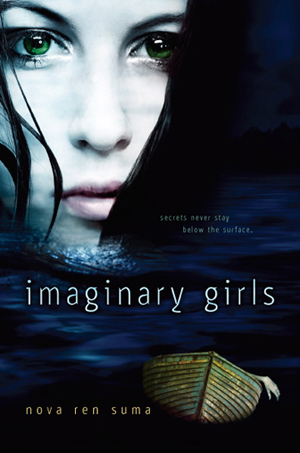 • Check out this Bookanista review of Imaginary Girls… Shannon Messenger is giving away an ARC of the book, and you have until May 21 to enter. Go here to enter. • Are you a struggling writer who knows the low point I spoke of? Please don’t ever give up on yourself. I know how close I came, and even if you don’t have an E in your life to pull you back up, I hope you’ll keep on trying. • And I’ll say one last thing. Are you the partner—the girlfriend, boyfriend, spouse, love, other half—of a writer? Please know how significant your belief and support can be. We know we’re difficult creatures. We know how frustrating it must be to live with us, especially when the rejections are piling up and the gloom sets in. But your patience, your positivity, your faith, your willingness to read our pages can change that. It can keep your writer going. It can make all the difference. So many of us wouldn’t have books without you. Thank you. Previous Article Want to See Me in Person This Month? This post made me cry. You’re going to do brilliantly, I have no doubt. I know that nothing but seeing it be so will calm you, though. You have many people who have faith in you and your writing. Keep taking deep breaths, and you’ll see when you get there. I have an E (also since we were teens – interesting!) and I’m so very thankful for him. Sometimes it doesn’t matter what anyone else says, you just need that one steady source of emotional support. I’m happy you have it, and I’m happy you do, too. Nova, I got all teary reading your post. I’m so glad you and E found each other and that you have been there for each other! But you must know that there are others who also love and believe in you! You have a web, a net, of love and support all around you. This could have been written by me. Thanks SO MUCH for sharing. Amazing post! Thank you so much, sometimes all you need is to hear, from anyone, to keep your head up and keep going. I’m so happy for your approaching pub date and look forward to reading and reviewing your book in the future! Well done for hanging on until you made it. And for picking someone who gave you hope and support all through that process. I’ll look out for your book. You’re such an inspiration, Nova!!! Adore you and your writing! This is such a lovely post and thank you for sharing your journey (both the high and low points!) it’s very inspiring. Thanks for offering encouragement to the rest of us. Look forward to reading your book. Thanks so much for sharing this. I can definitely sympathize with those low moments, and I’m ever grateful for my own E (or, rather, R) who helps me get through them and maintain perspective. I absolutely loved the first chapters of IMAGINARY GIRLS and I will definitely be purchasing a copy on pub day 🙂 I can certainly relate to the struggling-writer-feeling-like-giving-up-at-times, so I love your inspiring message in this post. 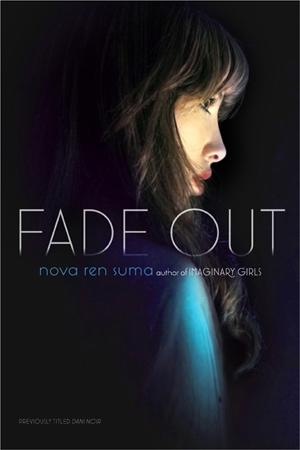 Congrats on the new book and I wish you all the success in the world, Nova! You have an E, and I have an S.
Best of luck. And thanks for being so inspirational to other writers.